Zeynep Alpan is the 2017 &2018 Ahmet Ertegun Scholar at the Juilliard School of Music where she is studying for her master's degree. Zeynep began studying the violin at the age of 5 as part of her music therapy treatment for her diagnosis of speech delay and Auditory Processing Disorder. Almost immediately after being introduced to the violin, Zeynep started to speak. 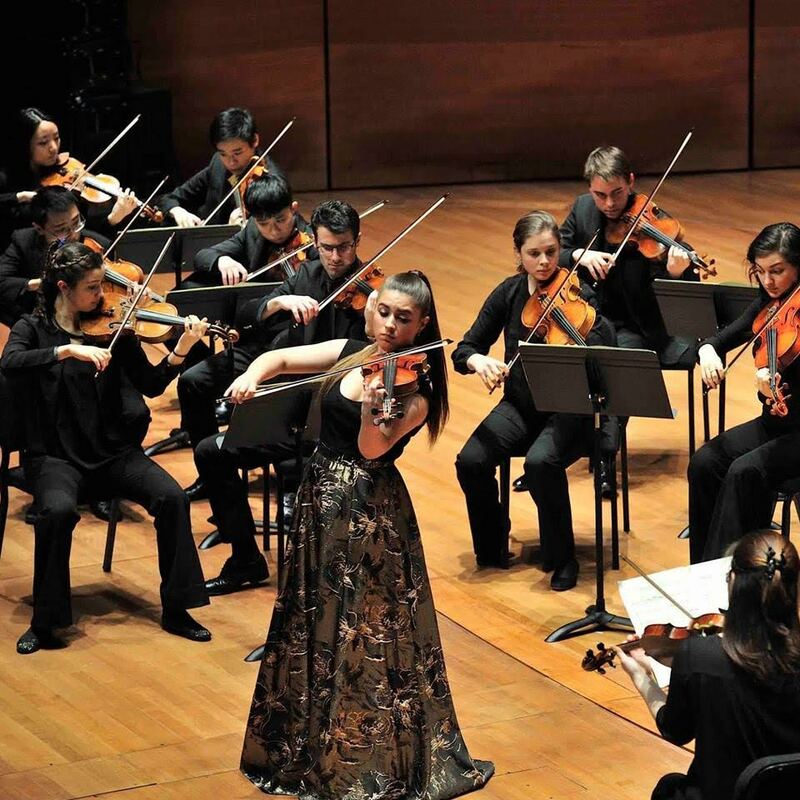 Then, at the early age of 12, Zeynep made her orchestral debut, performing Mendelssohn's violin concerto with the Istanbul Symphony Orchestra. She is a prizewinner in many competitions and was awarded the Ataturk Youth Achievement by the Ataturk Society of America in 2015. She has also performed at Carnegie Hall, the Aspen Festival, and the Baltimore Symphony Orchestra. 1. How did you hear about Ahmet Ertegun Memorial Scholarship at The Juilliard School? Had you known that The Society offered funding for Turkish artists to participate in the program? I actually found out about the Ahmet Ertegun Memorial Scholarship at the Juilliard School on my own. The school never notified me of this scholarship program. In DC, I was connected with the Atatürk Society of America and was awarded their “Atatürk Youth Achievement” award. I wanted to see if there were more organizations in the US like the Atatürk Society, so I did an online search to better understand what kind of organizations were out there and which ones could potentially provide opportunities for young artists like myself. The American Turkish Society was one of the first ones to show up. So, it was from my search that learned about your program. 2. Tell us a little about your experience? How is the program with the Ahmet Ertegun Memorial scholarship? How is your experience as an Ahmet Ertegun Scholar impacting your work as a musician/artist? The program has been a great opportunity to help continue my studies as a master's students at Juilliard. With this opportunity, I am able to further my skills and refine my artistry in preparing for the professional world. Being an Ertegun Scholar has had a positive impact as a musician and artist by giving me these opportunities to continue my studies and opening doors to the professional works. This year will be my last year at Juilliard as a masters student and I will be graduating in May 2019! In a few months, I will be releasing my debut album featuring works by living Turkish and American composers. I had the great privilege to meet with some of the composers and work with them! This was a very important and exciting project for me as I got to explore some of the most unique pieces from both Turkish composers and American composers. I hope this project will spark more collaborations, projects, performances, and opportunities with both Turkish and American artists for the future! I just won a teaching position at the New York Philharmonic, and this year I will be an NY Phil Teaching Artist Apprentice. I will also continue to be a Teaching Artist at Juilliard working with NYC public schools and mentoring for Juilliard’s Music Advancement Program.